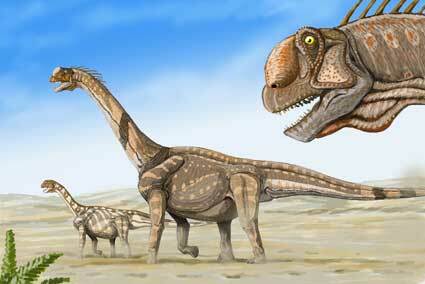 It isn’t a brachiosaur — the type of giant, plant-eating dinosaur that had a titanic body and a peculiarly tiny head. Nor is it quite like a diplodicid, the sauropod known best for its fantastically long, whip-like tail. And its leg and foot bones are all wrong for it to have been an earth-shaking titanosaur. Instead, the dinosaur that’s been identified from just a few fossil bones from the Black Hills of South Dakota seems to represent a huge new species to science. The new species, whose remains are scant enough that it hasn’t yet been given a name, fills an important gap in the history of American dinosaurs, and suggests that its ancestors survived a key transition in America’s climatic past. 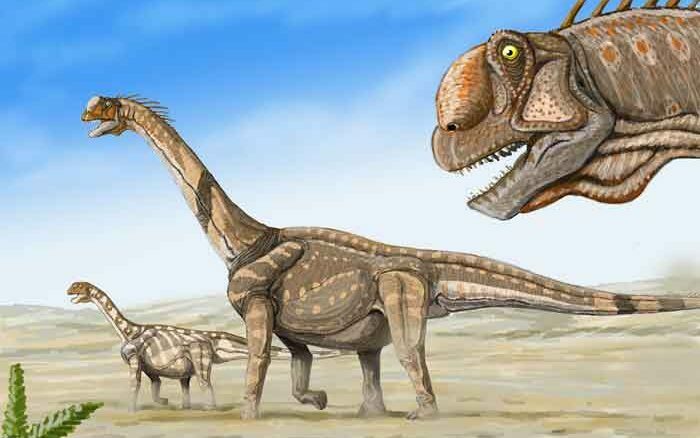 “The importance lies in the fact that no sauropods, and few dinosaurs in general, are known from the period between about 148 million to 125 million years ago,” said Dr. Michael D’Emic, a paleontologist with Stony Brook University who reported the find. That gap in the fossil record occurs just after a change took place in North America’s climate, about 145 million years ago, when a brief span of cooler, wetter conditions marked the end of the Jurassic period and the beginning of the Cretaceous. The newfound dinosaur is the earliest, oldest known sauropod from the Cretaceous period in North America, D’Emic noted. Plant-eaters from this period were thought almost exclusively to be a type known as titanosauriforms, which includes the brachiosaurids, the diplodicids, and the titanosaurs. But the foot and leg bones found in the South Dakota specimen show that it doesn’t belong to this group, D’Emic said. Instead, it closely resembles Camarasaurus, a genus of giant herbivore that roamed North America in great numbers during the Jurassic, until it disappeared about 145 million years ago. 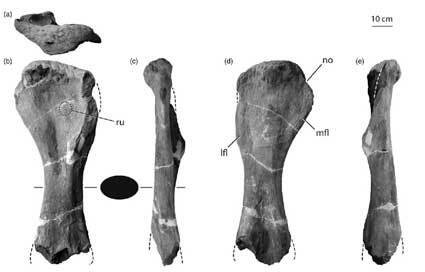 While Camarasaurus may not have survived the transition from the Jurassic to the Cretaceous, these bones suggest that some of its non-titanosauriform relatives did. “[These bones] look like those of Jurassic sauropods, from around 148 million years ago, rather than of later Cretaceous ones, from about 125 million to 95 million years ago, which suggests that some of the older sauropods didn’t go extinct until after 139 million years ago,” he said. With no other material to work with, it will take more exploring and excavating in western South Dakota to round out this gap in the fossil record, he added. “It does show that more digging is needed in that part of the U.S.,” D’Emic said. D’Emic and his colleague J.R. Foster report the find in the journal Historical Biology. Is this not the most exciting time in history to be a “dinosaur hunter”? It seems new species, new discoveries are announced with consistent regularity and today’s technology has made Archaeologists and Paleontologists exciting heroes who give us lots of information about prehistoric life. Go Stonybrook University’s Dr. Mike D’Emic!!! !